Pale straw green color. Aromas and flavors of baked peach, lemon chiffon, grass, and rice with a supple, tangy, dry-yet-fruity light-to-medium body and a smooth, engaging, medium-length finish displaying accents of green apple skin, limestone, and roasted chestnut with no oak flavor. An excellent, crisp and refreshing albariño with great varietal character. Bottom Line: An excellent, crisp and refreshing albariño with great varietal character. Albariño is a white grape grown in Portugal and Spain (Rias Baixas in north west Spain, near the border with Portugal, is a famous Albariño zone). 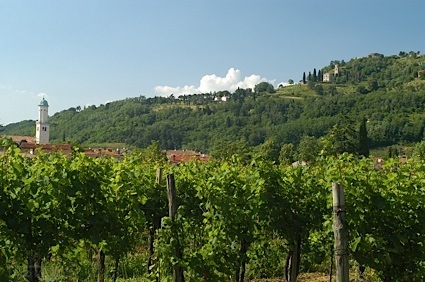 The wines are aromatic, aged only in steel and feature exotic aromatics of honeysuckle, peach, melon and orange blossom. Medium-bodied, the wines are dry or off-dry and have very good natural acidity. They are meant to be enjoyed young (within the first year or two after the vintage) and are ideal with shellfish (especially crayfish) and most seafood. 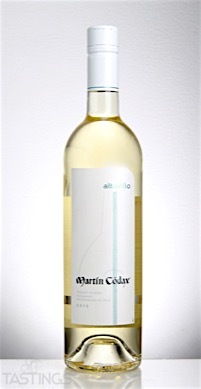 Martín Códax 2015 Albariño, Rias Baixas rating was calculated by tastings.com to be 90 points out of 100 on 12/13/2016. Please note that MSRP may have changed since the date of our review.